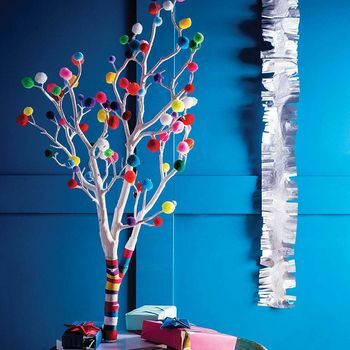 A modern alternative to the traditional Christmas tree, Pom Pom Christmas Tree is available with a choice of Neutral, Traditional or Bright poms poms. 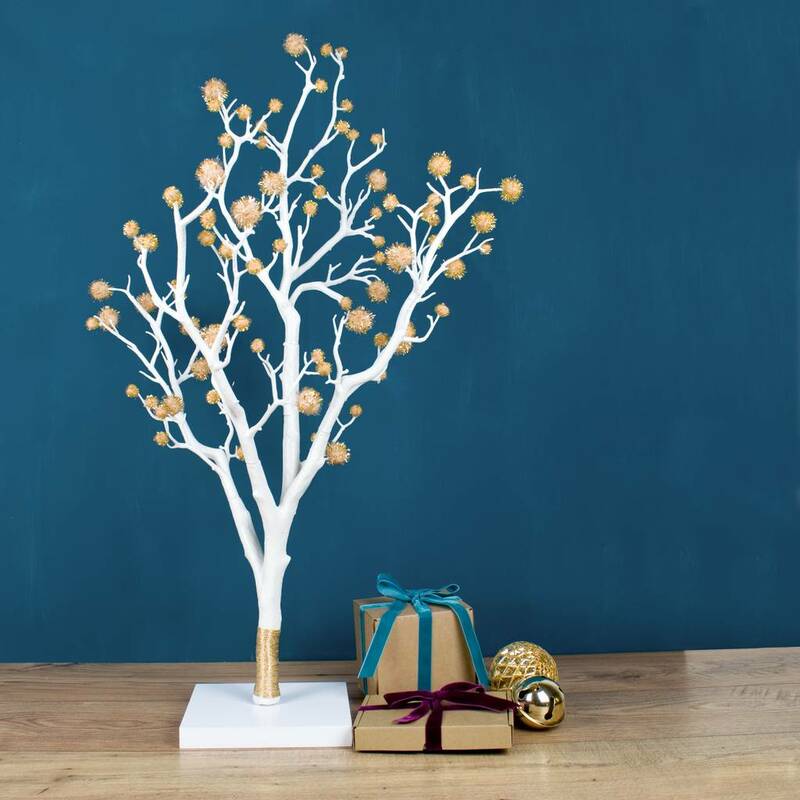 A comtemporary twist to the usual Christmas tree, perfect for anyone who doesn't have the room for a full sized Christmas tree or simply use as a unusual table centre piece for the family to gather around on the big day. 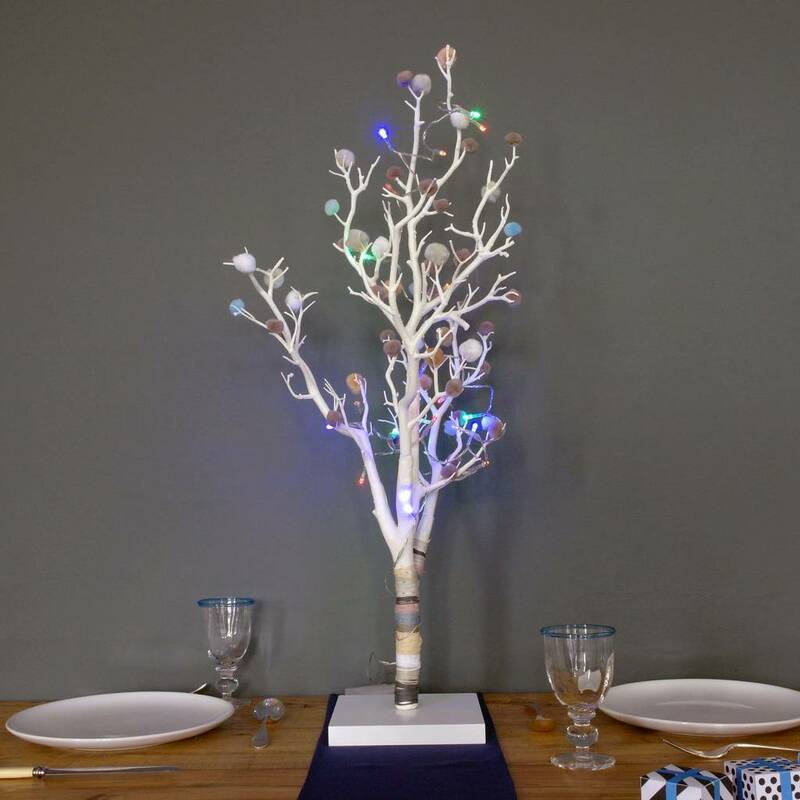 This tree is a real conversation piece. 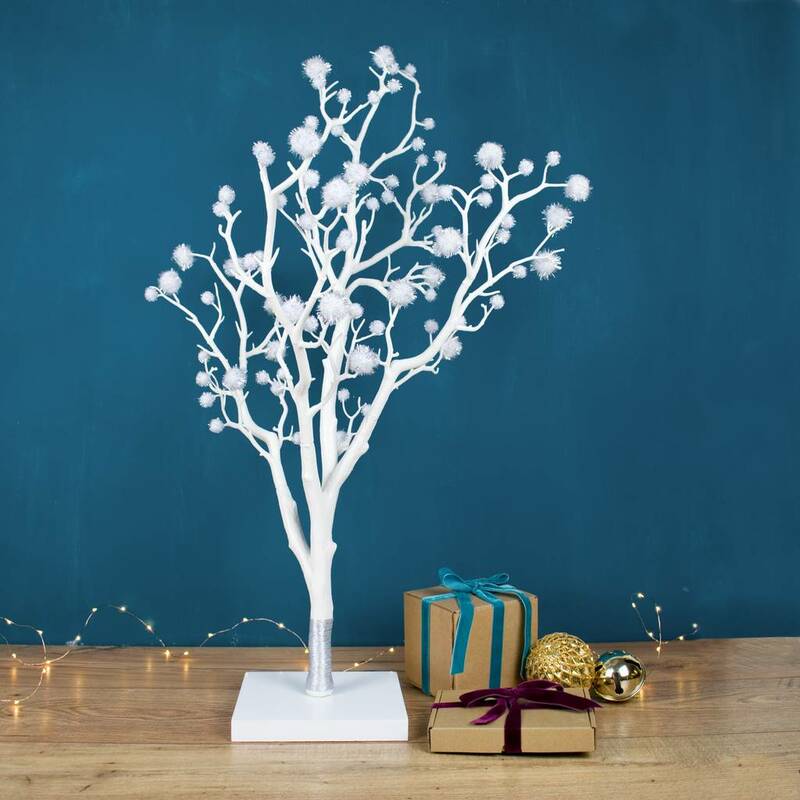 At 76cm tall it can fit in an unused fireplace or on a table, we love it as it is but you can add fairy lights to give it that little extra sparkle. 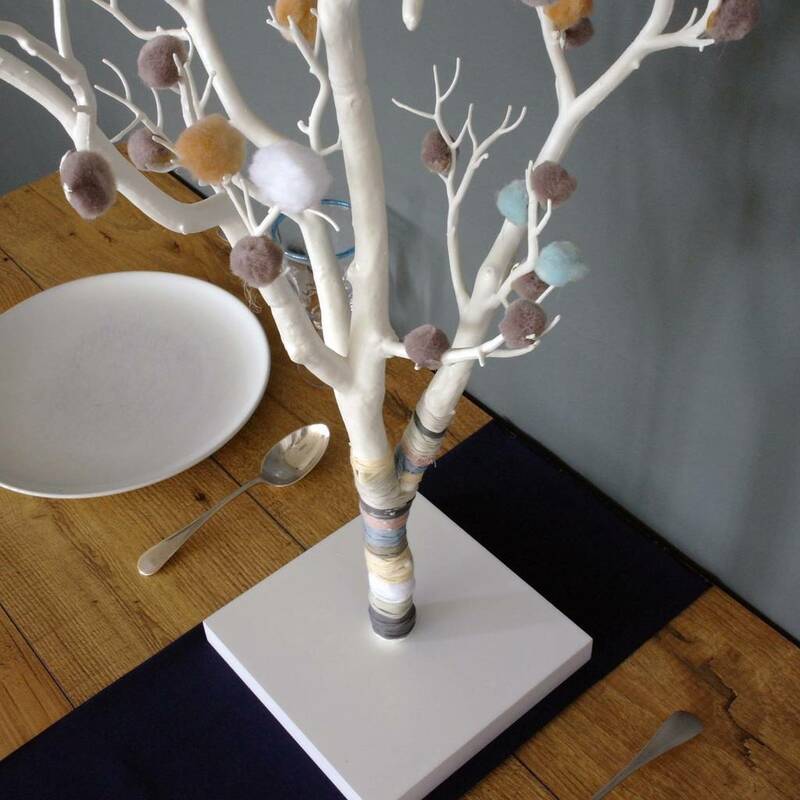 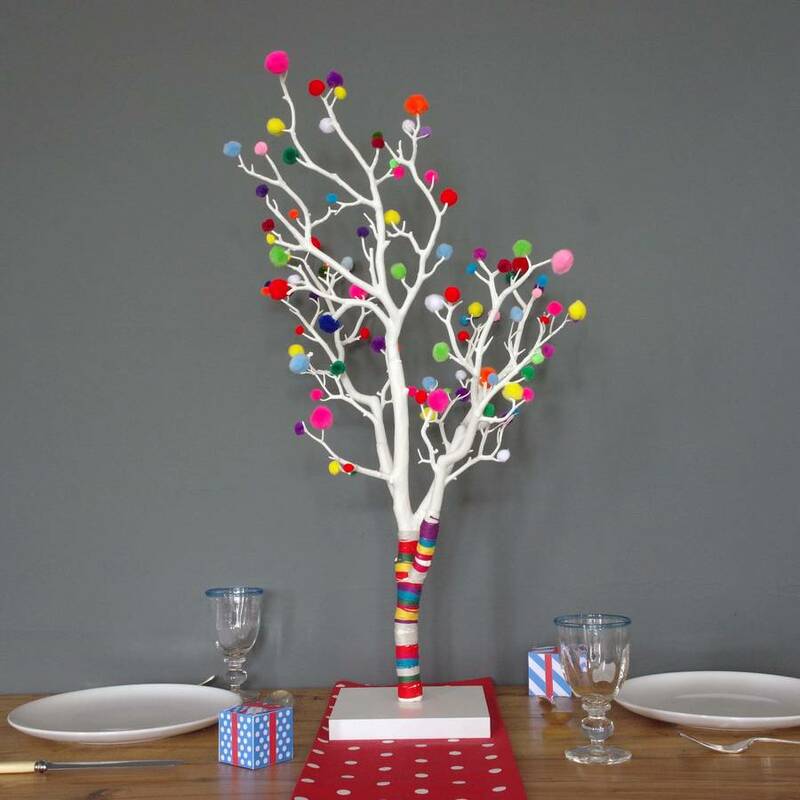 The tree is available in three colourways: Bright has a mixture of pink, yellow, blue, green, red & white pom poms' A 'Nod' to the Traditional has a mixture of reds, greens & whites with a touch of grey; and the Neutral option is more subtle with greys, blues, whites, peaches and tan. 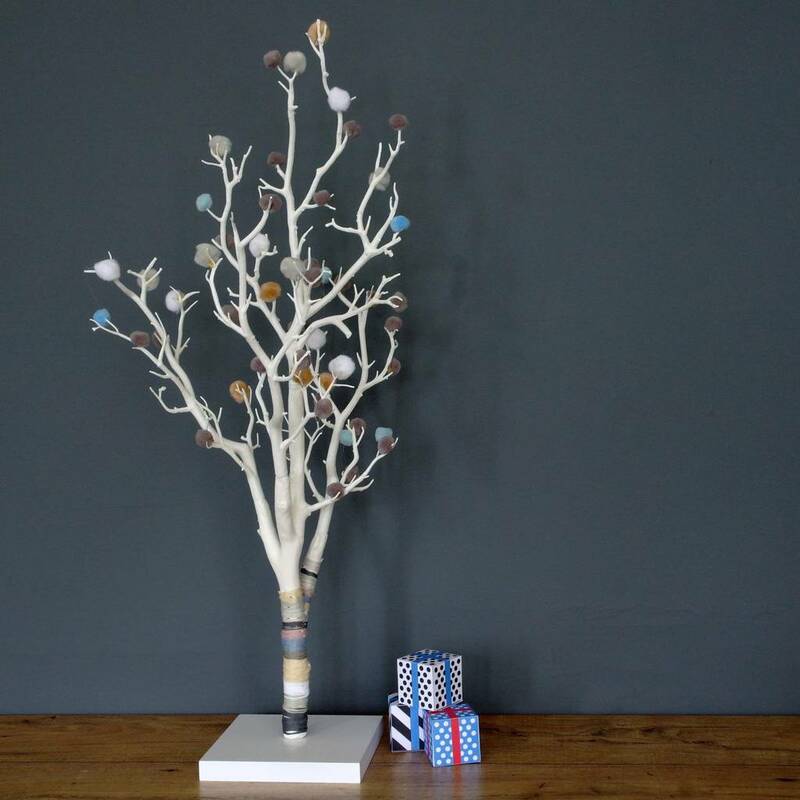 We aim to make each tree as close to the images shown but please be aware that small changes may occur. 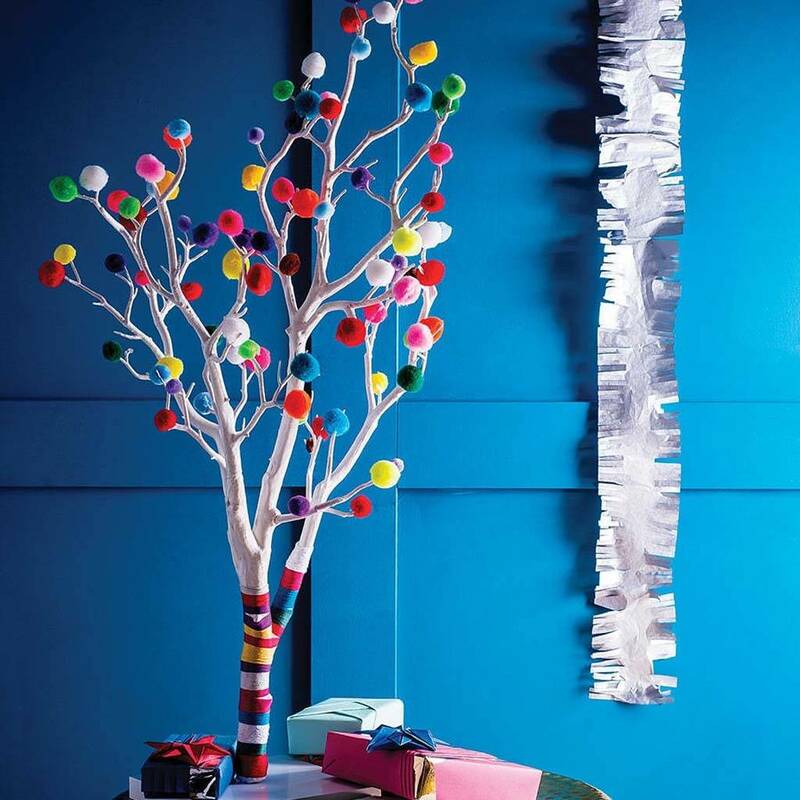 Don't forget a pom pom tree is not just for Christmas, so why not display it all year? 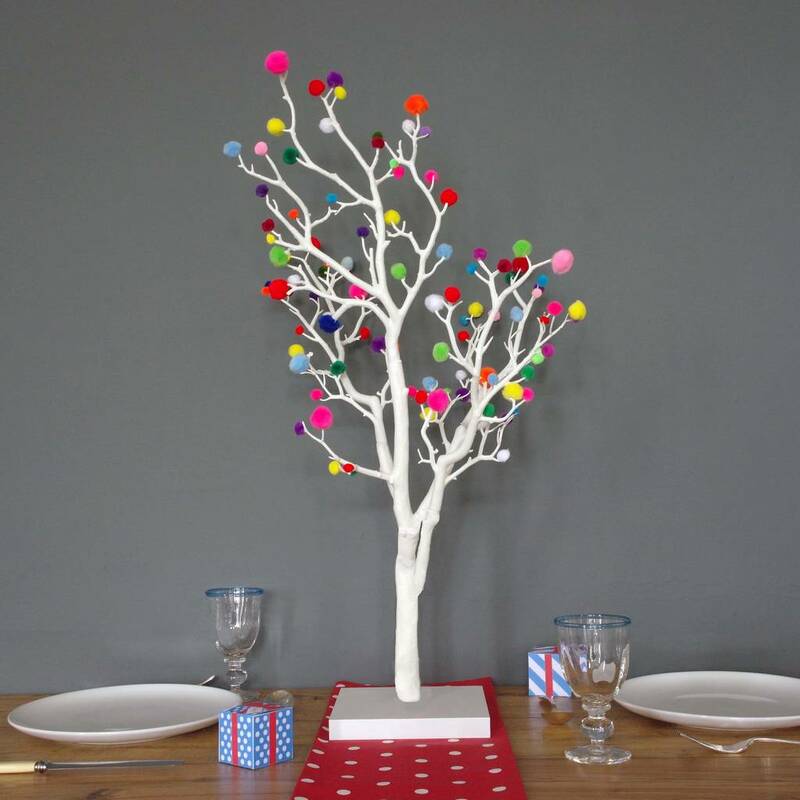 They would look great with pretty coloured eggs hung from it at Easter or with some garlands of flowers in the summer. 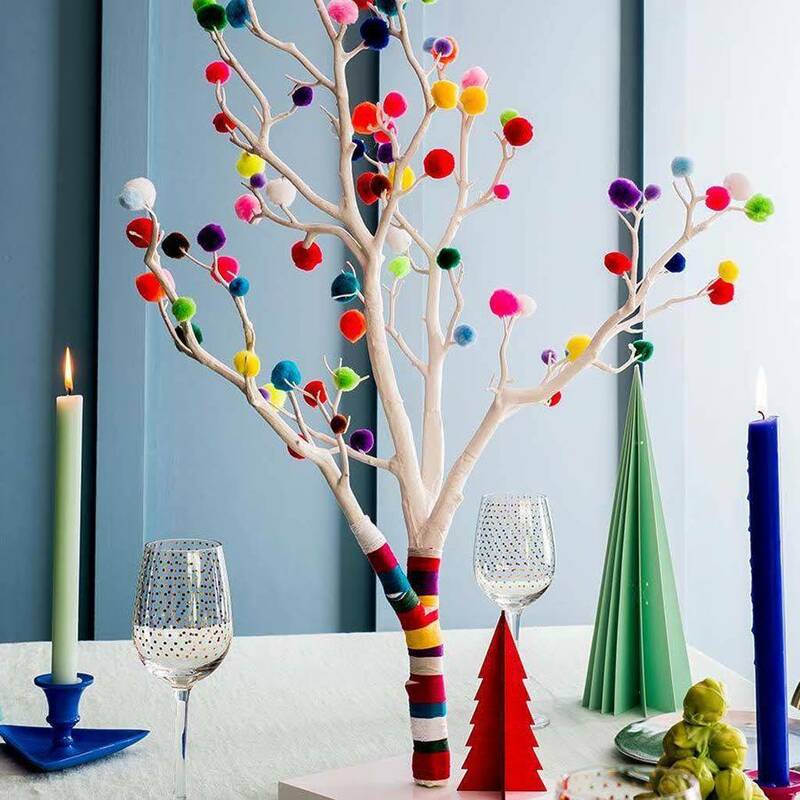 If you are feeling very decadent, these trees look great in a group. 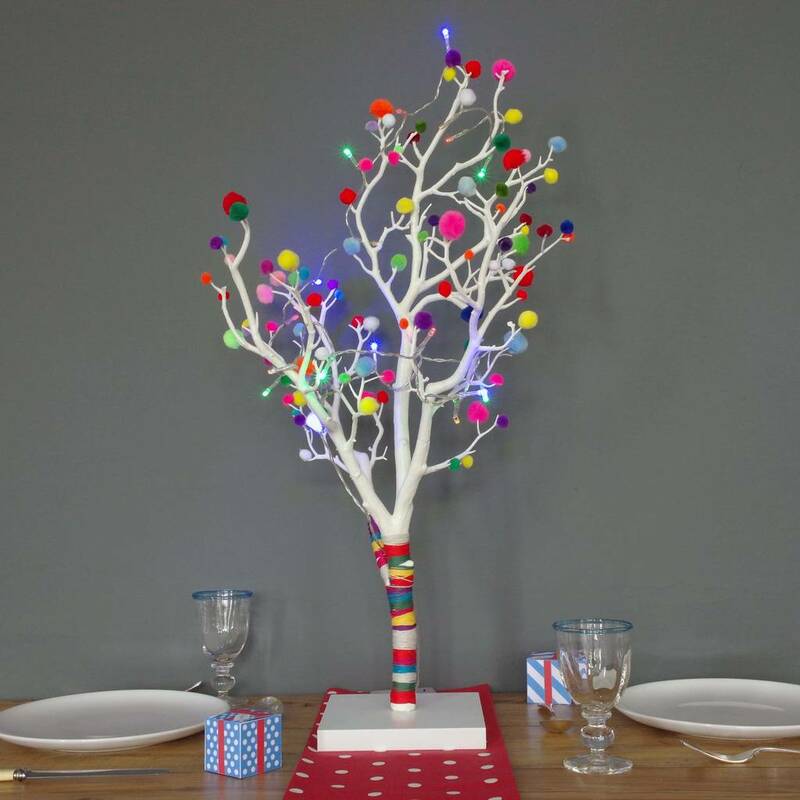 Please note, these trees will be delivered by courier. 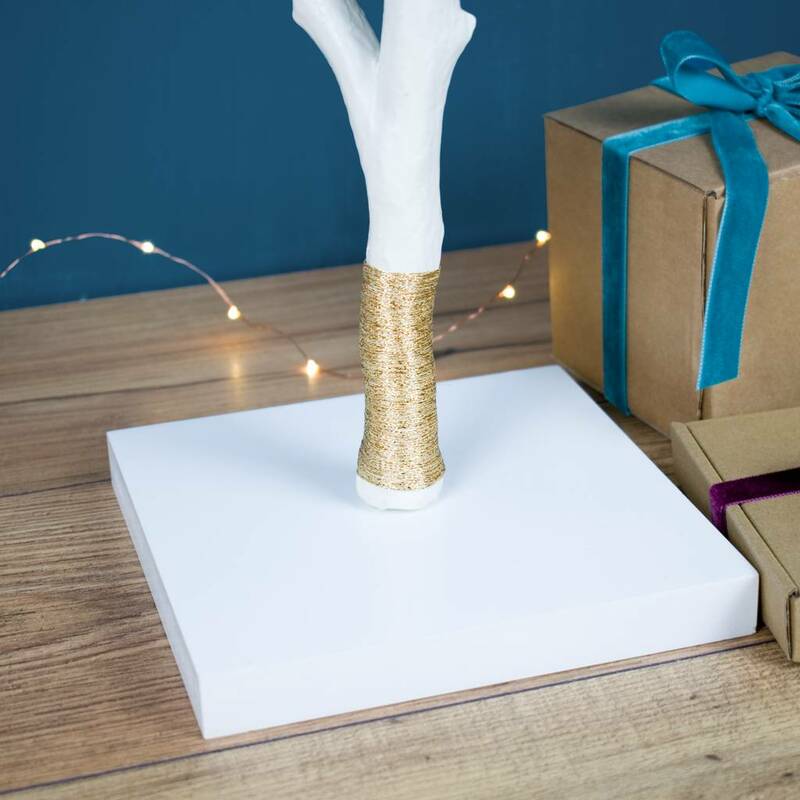 Standard delivery will be 5 - 7 days. 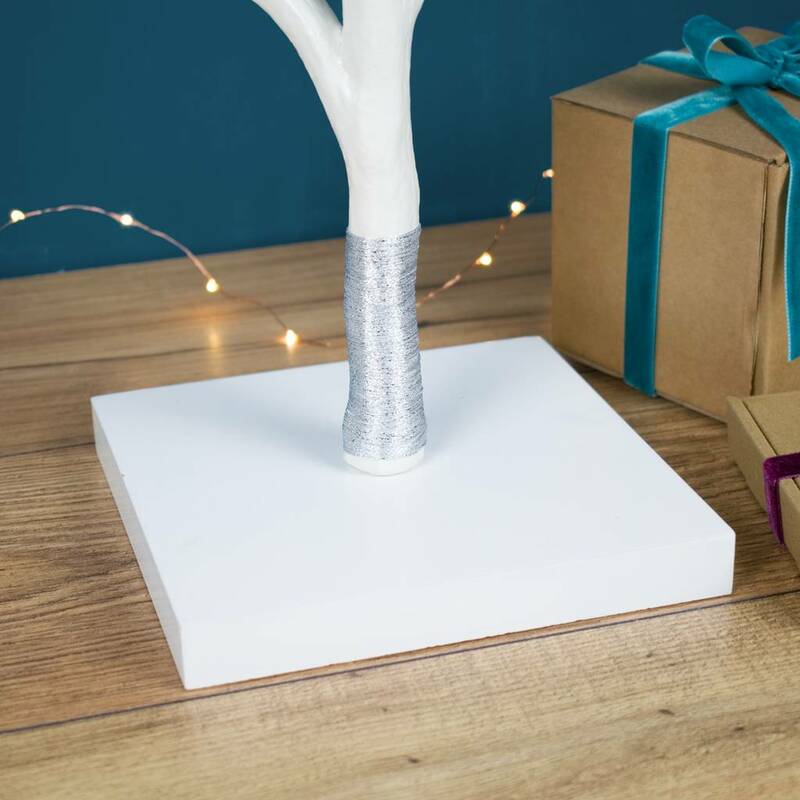 If you would like your tree sooner please select the dropdown menu.